Widely used pesticides and insecticides, climate change, and introduced species are factors for bumblebees as well as other species of bees being endangered, Mark Floegel, beekeeper & Greenpeace research director, told RT America’s Anya Parampil. For the first time bumblebees are on the endangered species list. Beekeepers have been complaining about bees dying en-mass. Why is this happening? Why is the bumblebee so important and how significant is it for human survival? The researcher explains honey bees “give us honey and bees that some beekeepers bring around to pollinate crops – like oranges, almonds, blueberries.” Bumblebees are wild; he told RT America’s Anya Parampil. “There are 20, 000 species of bees, but they are all endangered by very similar things. One is climate change. We’re moving bees out of their range; we’re making their seasons very irregular,” Floegel said. Another danger comes from introduced species “that have come into this country, the way that other species that come into this country the way other invasive species have come into this country” and they are attacking the American bees. Widely used pesticides and insecticides are making things worse. For instance, neonicotinoid – is an insecticide, so it does kill insects, including bees. 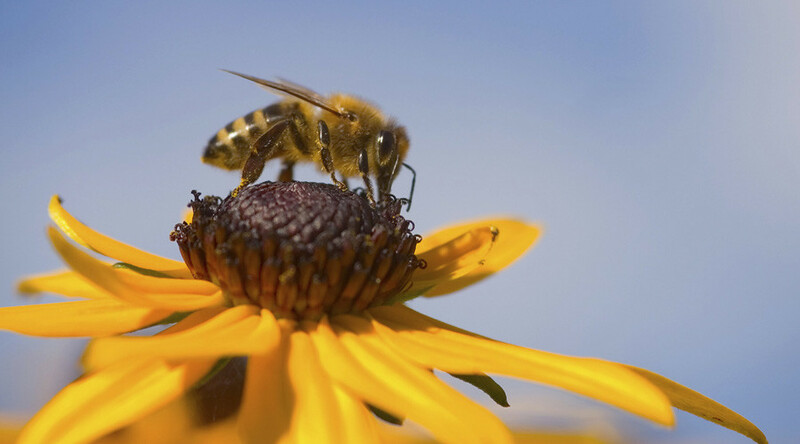 “It is a pernicious insecticide, which we’re trying to get EPA [Environmental Protection Agency] to ban for the health of bees and therefore for the help of our crops,” Floegel said. “In fact, the bees that live in my neighborhood, that live in my backyard – all my neighbors contribute to helping out by planting bee-friendly plants in their yards. So my bees have plenty of good, healthy food because they don’t use pesticides. I pay them back by giving them honey,” he said.